Sedgwick & Cedar pays tribute to some of the world’s most fly cities with this series of Planet Rock t-shirts. 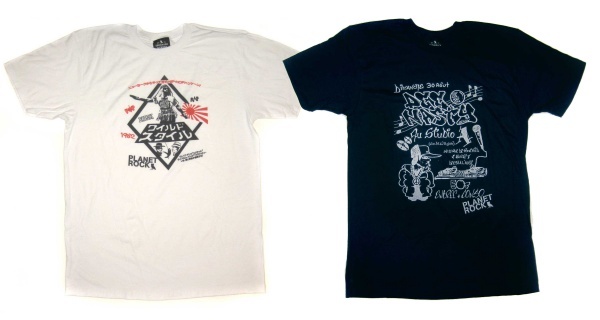 Taking its name and inspiration from the classic Afrika Bambaataa track, the shirts have an international flavor, showing love and respect to five of the world’s hip hop capitals – Tokyo, New York, London, LA, and Paris. A very smooth collection, you can show love to your city by grabbing one of the shirts over here.